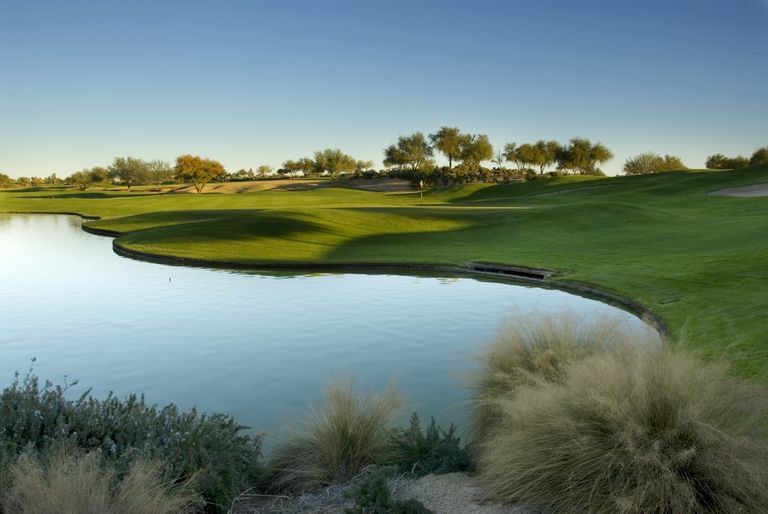 Rule 17 is a specific Rule for penalty areas, which are bodies of water or other areas defined by the Committee where a ball is often lost or unable to be played. For one penalty stroke, players may use specific relief options to play a ball from outside the penalty area. Penalty area margins are identified by red or yellow stakes or lines. If your ball is in a penalty area, you may play it as it lies. If you cannot find it or do not wish to play it, add a penalty stroke and do one of the following: a) drop and play another ball from where you last played; b) drop a ball behind the area as far back as you wish on a straight line from the hole, keeping where your ball last crossed the margin between the hole and where you drop the ball; or c) if it’s a red area, you may also drop a ball within two club-lengths of where the ball last crossed the margin, no nearer to the hole. The Full Edition of Rule 17 on the R&A website includes a couple of videos to help explain the rule. On both the USGA and R&A sites, and in the physical rule book, there are multiple diagrams included in Rule 17. Those diagrams illustrate relief options for a ball in a yellow penalty area and for one in a red penalty area, among other things. Be sure to read the full Rule 17, interpretations of Rule 17, and definitions of important terms either on USGA.org or RandA.org.